A Chest Pain Unit (CPU) is used to treat patients with unclear chest pain. 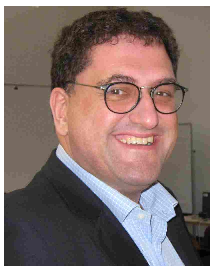 There have so far been no quality standards for these devices, so the German Cardiology Society – Heart and Circulatory Research (DGK) has created criteria for the operation of CPUs and is certified by these interested clinics and hospitals in order to introduce a uniform standard. “Chest Pain Unit –DGK certified” is now a registered trademark that emphasises this standard. More and more Chest Pain Units in Germany are applying for this certification. More than two hundred and fifty Chest Pain Units have already been certified according to the criteria of the DGK and have received the seal of approval. 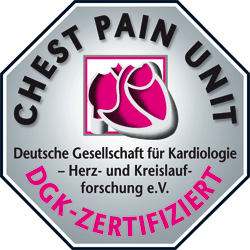 This is important for the CPUs in order to be able to document their quality externally, but also important for the German Cardiology Society, so that the term “Chest Pain Unit –DGK certified” develops into a high quality standard throughout Germany. On this page, we have compiled all the important information about the certification process that should be known to applicants for certification. In addition, there is a map showing, at a glance, the regions in which there is already a certified CPU. There is also an alphabetical list by city.